St. Patrick’s Day is coming up in just a few weeks…. March 17th to be exact. Have you started decorating yet? If you haven’t, but you’d like to start…. then I have the craft for you today. 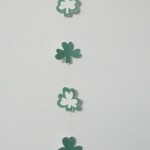 I’m going to show you how to make a St. Patrick’s Day Shamrock Streamer Decoration. It is a super easy craft, so this is a great craft for the youngest of crafters. But, it is also fun enough to keep the attention of all age crafters. So, no matter what your age is…. grab the materials needed and let’s get started. Are you still looking for decorations for Valentines Day? If so, then I have the craft for you today. 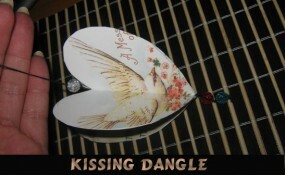 In this post I’m going to show you how to make a Kissing Dangle Decoration for Valentine’s Day. It’s an easy craft, but turns out really beautiful to hang up for Valentines Day. Plus, making this craft is a lot of fun…. almost as much fun as it will be seeing people’s reactions when they find out you made this decoration yourself. So, grab the materials needed and let’s get started. Valentines Day is just a week away. And, if you are still looking for ideas for Valentines Day decorations I have the craft for you today. 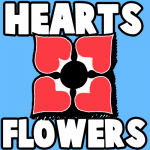 I’m going to show you how to make Magazine Folded Hearts for Valentines Day. 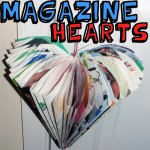 These Magazine Folded Hearts are the perfect decoration for Valentines Day. 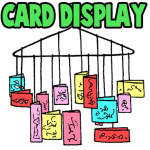 You can hang them from the ceiling or from a door…. either way the craft turns out really cute. And, what’s really cool…. it gives you something to do with all those extra magazines you have sitting around. So, let’s get started. Do you like Under the Sea creatures? If you do then I have a craft for you today that you will truly enjoy. 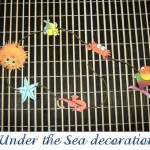 I’m going to show you how to make an Under the Sea Decoration that will look so wonderful hung up in your bedroom. Imagine how lovely it will look hung up on your ceiling as your stare at it below from your bed. Well, you don’t have to imagine anymore… let’s help it become a reality. Today I’m going to show you how to make this Under the Sea Decoration step-by-step. So, let’s get started. I have a really special craft for you today. 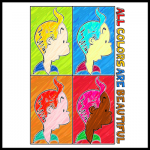 I am going to show you how to make an All Colors are Beautiful Martin Luther King Craft. This craft is meant to remind all of us how no matter the color of the skin that people are the same and should be treated equally. That is what Martin Luther King represented. 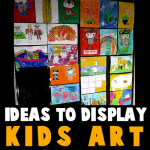 In this craft you will draw a picture of yourself, copy it and color each picture with different colors. The craft turns out beautifully…. and should be hung up this Martin Luther King Day. So, let’s get started. 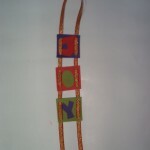 Here is a craft that is easiest enough that even the youngest of crafters are sure to enjoy. 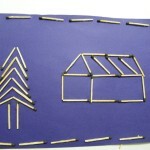 I am going to show you how to make a beautiful matchstick picture that your child will love to have hung on the wall. I am showing you just one idea…. Feel free to use your own creativity and create your own designs. 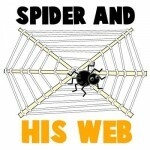 Now, keep it mind that we are using matchsticks…. always supervise your child during this craft. 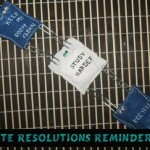 Today I’m going to show you how to make New Years Resolution Reminders. A New Years Resolution is something you want to change or do better in the new year. Such as conserve more water or save electricity, for example. You probably have different ones. Well, with today’s craft you will have an easier time remembering your New Years Resolutions throughout the new year, so you can keep working on your New Years Resolutions. Do you know what your New Years Resolutions will be? Come up with a few and then let’s get started on the craft. Believe it or not it is December already. Now is the time to get in the Christmas spirit. This craft will get you in the Christmas spirit for sure. Today I’m going to show you how to make a Joy Christmas Decoration. This Christmas decoration is perfect to hang on a door knob or even your Christmas tree. You can even make other words like, Peace, Hope and Love too. So, let’s get started. Bats come out at night….. and Halloween is no exception. 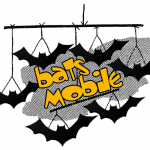 Why not totally spook out your house by adding this creative Bats Mobile decoration inside this Halloween. Or, better yet…. have your child make a few of these mobile crafts and they can fill their bedroom with these spooky Halloween creatures. Pacman was the hottest arcade game from the 1980’s and it is still crazy popular today. 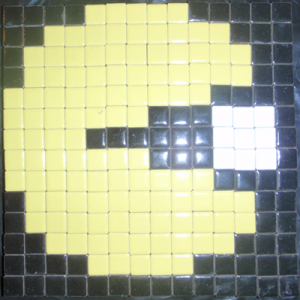 I’m going to show you how to make a super cool pixelated Pacman picture that is very easy and fun to make…. just follow the easy-to-follow pattern and you are as good as gold. 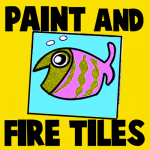 Do you want to learn how to make your own customized ceramic tile? Well, then you’re in luck because today we will show you how to take a pencil design and then transfer it to your tile. From there you can take your liquid glaze and paint your design onto the tile. You don’t need a kiln to fire your ceramic tile, you just need a normal kitchen oven. Learn all about firing & glazing your ceramic tiles at home in the step by step tutorial below. 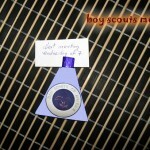 Today we will show you today how to make something simple and fun: a memo for Boy Scouts. Now the boys can have a special place where they can write important Scout related topics down .